Do you like Rogue 1: Boots on the Ground? Share it with your friends. 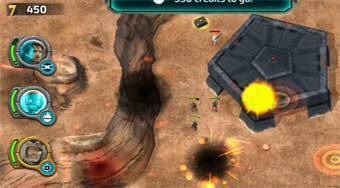 Rogue 1: Boots on the Ground is a luxurious strategy that was created on the theme of the popular Rogue One movie: Star Wars Story. There are a total of twelve challenging missions with different tasks in the game. Before each mission, select three members into your team, give orders, kill enemies, and fill the assigned tasks.